Interference management techniques are the key developments of wireless communications to increase the spectral efficiency of all mobile terminals. Interference alignment is a promising technique that projects interference signals into a single subspace. Waveform design deals with effective methods to generate signals and receive them at the receiver side through a channel, meeting the design criteria depending on the demands of users, channel conditions, system, and technology. Waveform design for next generation communication systems including 5G-and-beyond and massive IoT systems is our one of the research interests. Energy harvesting (EH) from radio frequency (RF) signals is a promising approach that has been regarded as an alternative solution to the power efficiency issue. In EH, nodes can both harvest energy and process information concurrently. As a result, the EH node does not need to have an external source of energy since it uses the harvested energy to forward the received signal to a destination. In the literature, practical EH techniques are classified as power splitting (PS) and time switching (TS) relaying. In PS, the EH node divides the incoming signal power in two parts for EH and information processing (IP) during the whole transmission interval. In TS, a certain fraction of the transmission interval is reserved to EH while the reminder fraction to IP. For both protocols, EH node uses the harvested energy to transmit the received signal to its destination. Software-defined radios (SDR) are devices that allow to realize dynamic spectrum access through software modifications of SDRs (i.e., adjusting modulation type, coding, filtering, operating on various frequency bandwidths, etc. ). Next generation network protocols (5G and beyond) have been developing through the joint consideration of new technologies (internet-of-things, machine communication etc.). Cognitive radio networks provide a key solution for resource scarcity in the spectrum, which provides sharing the same freuqency band between licensed and unlicensed users. Stochastic geometry, which handles random spati al patterns, is considered in modeling and analyzing of the placement of nodes due to being closer to actual network geometry. The nodes are distributed according to some probabilistic models. 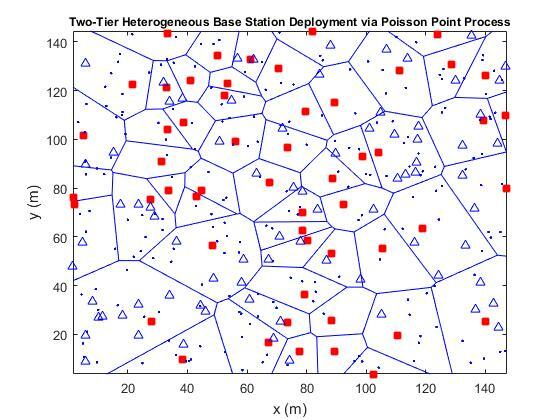 Analysis of energy efficiency methods in n-layer heterogeneous networks by using the derived performance metrics is one of our research topics. With the development of mobile communication systems, cellular networks are becoming more common, which cause a tremendous increase in power consumption. This increase brings necessity of energy-efficient, green communication systems as a solution to the forefront. Time-frequency signal processing is a powerful tool to analyze, process, and interpret nonstationary signals. We developed novel techniques for the analysis and design of high-resolution time-frequency distributions utilizing the fractional Fourier transform. We proposed and analyzed adaptive filtering in fractional Fourier domains in the literature for the first time, and introduced new discrete fractional Fourier transform (DFrFT) definitions. We further worked on the reconstruction of nonuniformly sampled time-limited signals using prolate spheroidal wave functions, and signal recovery in fractional Fourier domains. “Ahmet Serbes and Lutfiye Durak-Ata (2011). Efficient computation of DFT commuting matrices by a closed-form infinite order approximation to the second differentiation matrix. SIGNAL PROCESSING, 91(3), pp. 582-589."